Hiring a contractor for commercial and home painting or floor resurfacing is a great idea, but finding an honest contractor who has the skills and knowledge to complete your particular job can often be challenging. It’s a good idea to do your homework and ask around for referrals. Remember many scam artists are very good at being charming and complimentary. A nice smile and lots of promises can often mask bad intentions. Below is a list of red flags to look out for when hiring any painting contractor. Don’t be afraid to ask questions and say no if something doesn’t feel or sound right. A contractor should be established with contact information and a permanent address. Many contractors work from a home office, but if they just have a PO Box, be wary. Ask if the contractor is licensed and check up on his or her certification. Some scam artists offer great deals because they have ‘extra materials’ left over from their last job. You want to hire a painting contractor who orders the materials that fit your needs and knows how to properly estimate costs. Accurate and fair quotes take some time to fairly create. Large jobs should be broken down by material and labor costs. A small job could be set by a standard rate, but all others should be given in writing. Legitimate contractors will give you time to consider their bid before making a commitment. A dishonest business will often pressure you to make an immediate decision. If you have to sign the contract right away or lose the sale price or pay more for materials, you may be better off putting the pen back into your pocket. Honest contractors will point out existing problems and recommend solutions. Con men will often exaggerate problems and warn you that they must be fixed immediately or the house will fall apart any minute. Ask to see pictures of the painting contractor’s previous work and ask for referrals. 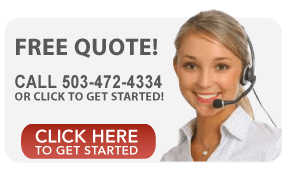 All legitimate contractors will have references you can call. Cash only arrangements are often made to keep the job off the books in order to avoid paying the IRS. If you have a problem, you have no record of transaction and will have difficulty getting the problem resolved. Honest contractors sign contracts and keep written records. In some cases, large jobs may need some money paid in advance for materials, however paying large amounts of money before any work occurs is usually a bad idea. If the contractor would like some sort of security, you can place a portion of the payment in escrow. If the contractor is making you feel guilty for asking for a written guarantee or an agreed upon time table, you might want to rethink the deal. Oral promises are difficult to enforce and half finished jobs that drag on for months and months can be a nightmare. Ask for a guarantee and timetable in writing. Home painting professionals sometimes have accidents. Ask your contractor if he or she is insured and don’t hesitate to check the coverage. Your home owner’s policy may not cover all damages that may occur during their work, so check their coverage before they begin. Looking for these red flags will allow you avoid the shady contractors and scam artists and help you find the honest home contractors that will beautify your home or business. Oregon, Or, McMinnville, Portland, Newberg, Lake Oswego, Tigard, Dundee, Carlton, Wilsonville, Four Corners, West Linn, Beaverton, Salem, Keizer, Sherwood, ,Tualatin, Yamhill, Amity, Dayton, Dallas. Provide a hassle free experience. Professional & caring about details. To work with methodical craftsmanship. To continue the tradition of excellence. Copyright © 2019 · Smith and Company Painting · Powered by Niche Quest. 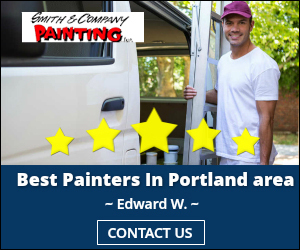 Smith and Company Painting, Inc.